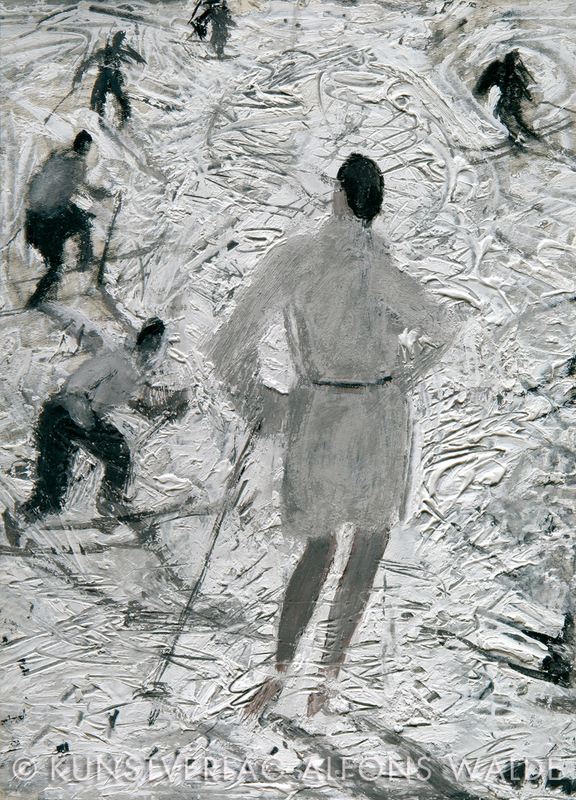 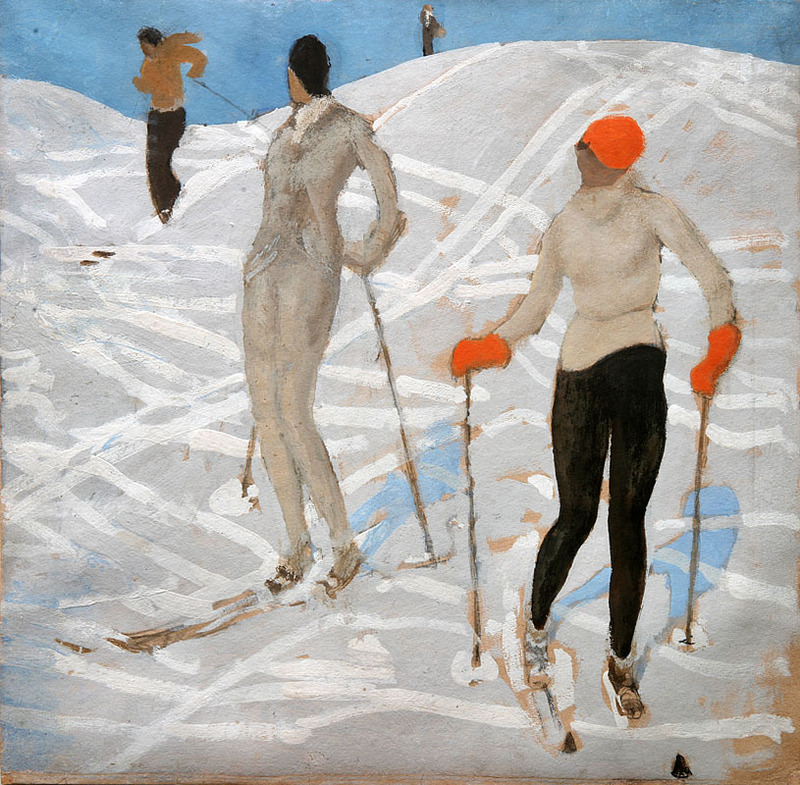 In addition to Walde’s convincing interpretations of landscapes, he is also well known for his artistic contribution in the area of winter sports. 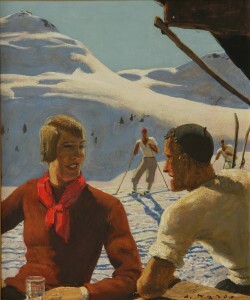 His work during the early 1920s focused heavily on this subject. 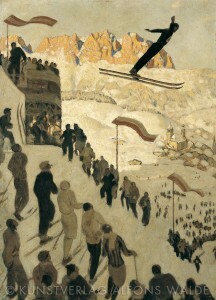 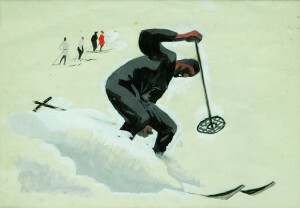 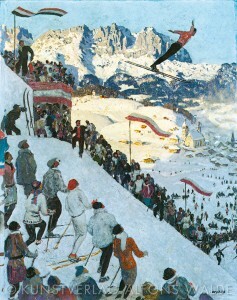 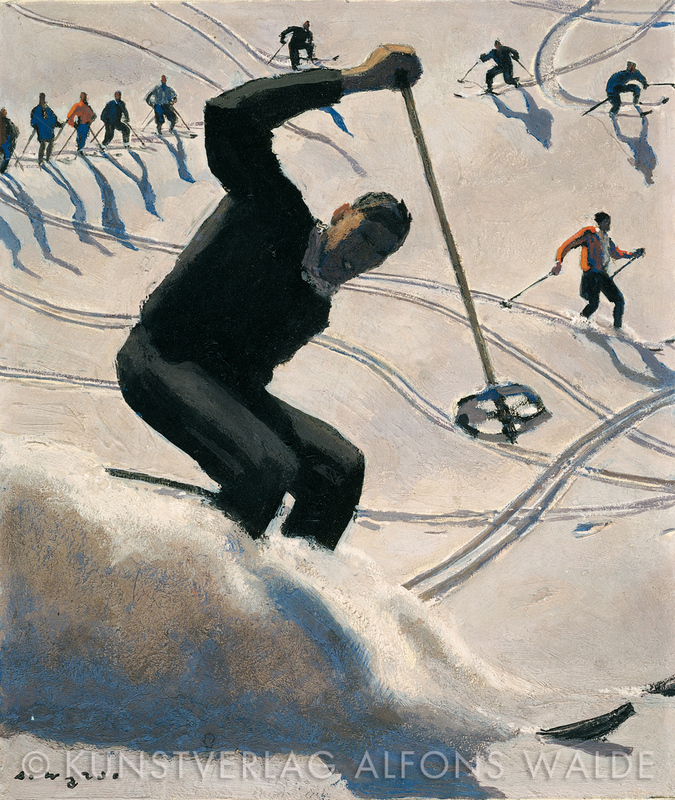 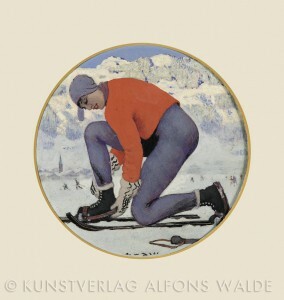 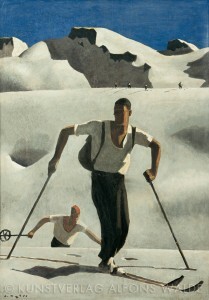 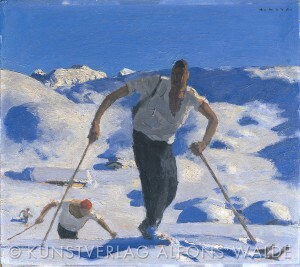 Walde was an important contributor to the rapid development of organized winter sports in his native Tyrol, which was an ever present factor from at least the mid-1920s onward. The artist himself encountered such sports from his earliest years, so it is not surprising that we find this subject in his paintings. His pre-WWI work includes oil paintings dating from 1912, in which Walde depicts lively winter scenes that function as veritable snapshots of various wintry moments. 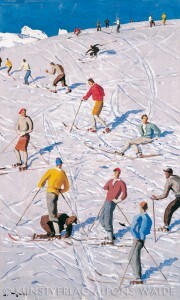 These small, oil on cardboard paintings include Der Schikurs (The Skiing Class), Der Zieleinlauf (The Finish Line) and Das Gasslrennen (The Street Race). 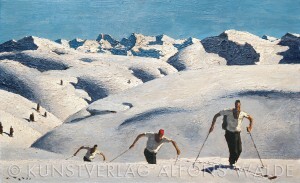 Despite being early works, they were to remain virtually unsurpassed in terms of originality. 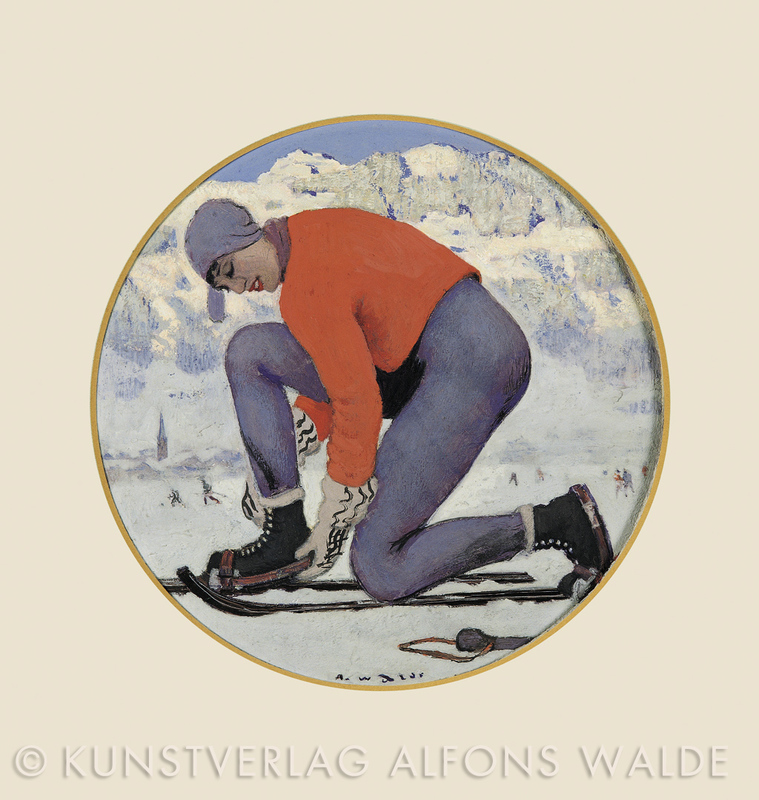 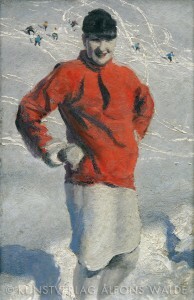 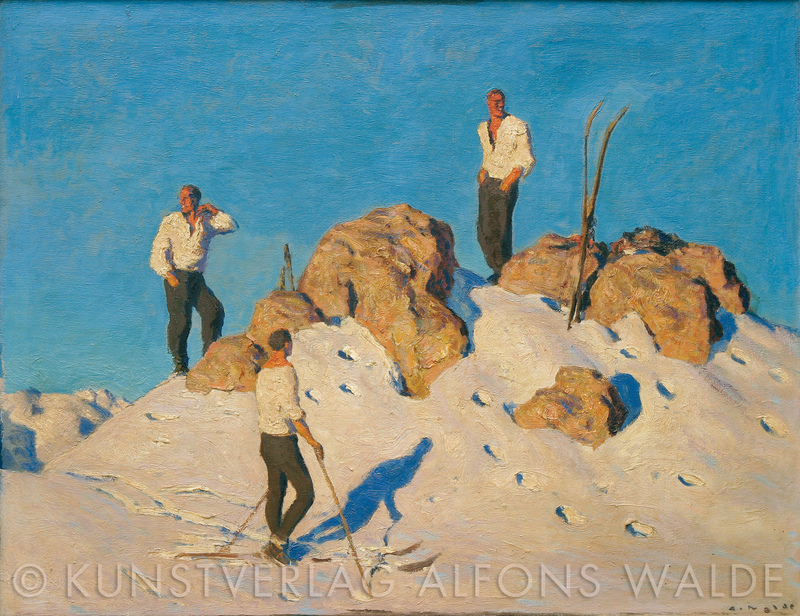 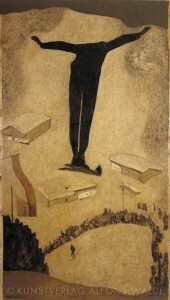 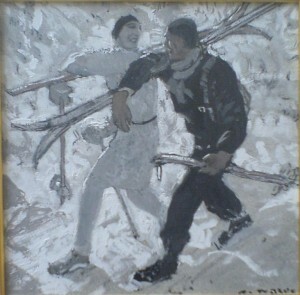 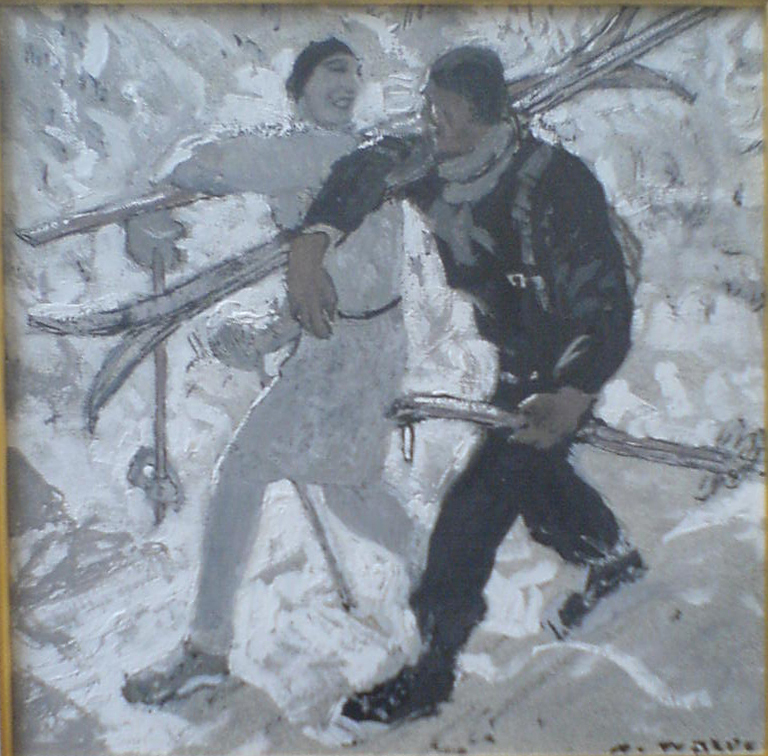 The sports motifs that Walde painted after WWI carry the “emotional heaviness” that is so characteristic of his work in general during this period. 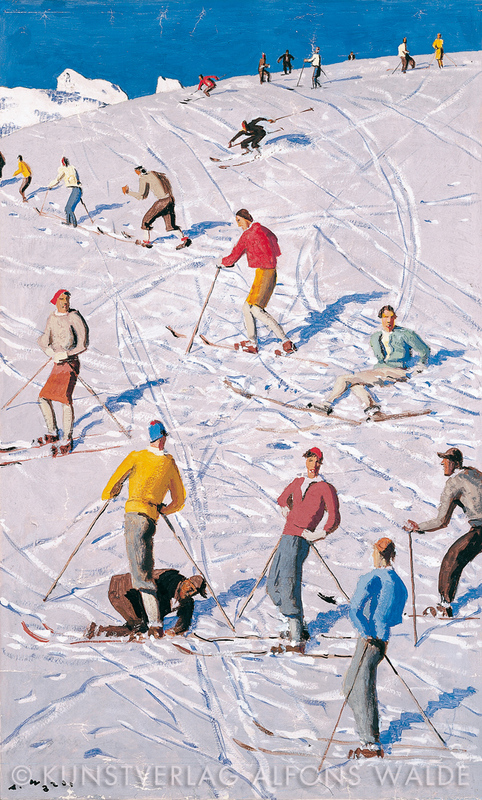 Not until the mid 1920s, most likely in reaction to the buzz and excitement of the rapidly emerging local winter sports scene, did he return to his roots, once again finding the rhythmic style and vibrant colors that are so evident in his earlier work. 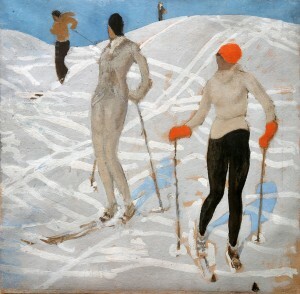 Having “rediscovered” the brilliance of color, Walde soon created several excellent examples of what may be most accurately described as unique “painted situations,” the works Grubschanze, 1925, and Mondäne Wintergäste (Fashionable Winter Guests).